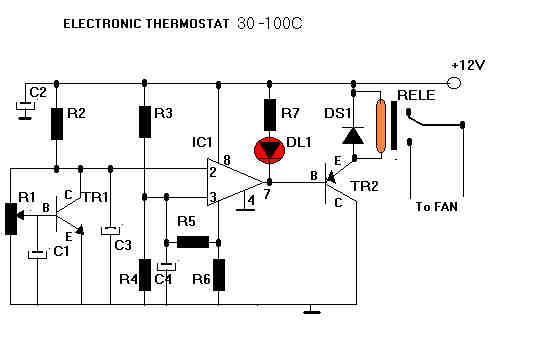 Here is a nice electronic thermostat for your power supply or the output tranzistors of your radio. More informations about the circuit at the greek page (sorry! ).